Leah's stand-up career isn't going well. But she understands the power of fiction, and when she's offered employment with the mysterious Genrenauts Foundation, she soon discovers that literally dying on stage is a hazard of the job! Her first assignment takes her to a Western world. 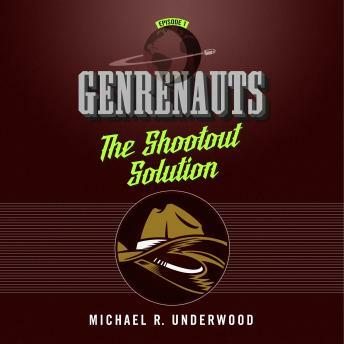 When a cowboy tale slips off its rails, and the outlaws start to win, it's up to Leah - and the Genrenauts team - to nudge the story back on track and prevent a catastrophe on Earth.